International exchange programs focused on the arts demonstrate how cultural engagement can address contemporary issues, broaden outreach to diverse populations, and contribute to community development and well-being. In addition to projects that offer more traditional perspectives on, for example, museum management, the performing arts, or arts education, more recent themes examine the role of arts and culture in addressing social issues such as youth radicalization, childhood alienation, domestic abuse, prisoner rehabilitation, and more. Arts and culture are important components of a community’s commitment to social cohesion, and organizations addressing these topics can be incorporated into exchange programs on a wide variety of themes. In addition, international exchange programs involving artists as participants offer unique opportunities for community engagement that can deepen the impact of the exchange. On a recent International Visitor Leadership Program (IVLP) that included musicians, dancers, and actors, participants were provided the opportunity to share their artistry with communities in Santa Fe, New Mexico and San Diego, California. In an event titled Art Soup & Bread & Salt: A Night of Global Artistry, the San Diego Council for Citizen Diplomacy produced an event that featured a rapper from Algeria, a dancer from Jamaica, an actor from India, photographers from Bahrain, Finland and Slovenia, and musicians from Bolivia, Tanzania, Vietnam, and Ghana alongside local San Diego based artists. The arts showcase was attended by over 100 San Diegans who had the unique chance to hear, see, and witness cultural expressions from all over the world and valuable networking was a natural result. A first-person account of this IVLP project is available on the blog of Mr. Luka Dakskobler, a photographer from Slovenia here. State and local arts/humanities commissions can talk about funding for a variety of arts initiatives. K – 12 after-school and in-school arts programs can offer meaningful opportunities to witness how arts programs can engage youth. Corporate social responsibility and giving programs might be able to talk about why donors see value in supporting the cultural and artistic life of their communities. Convention and Visitors bureaus can often address the economic impact of arts organizations in a community. 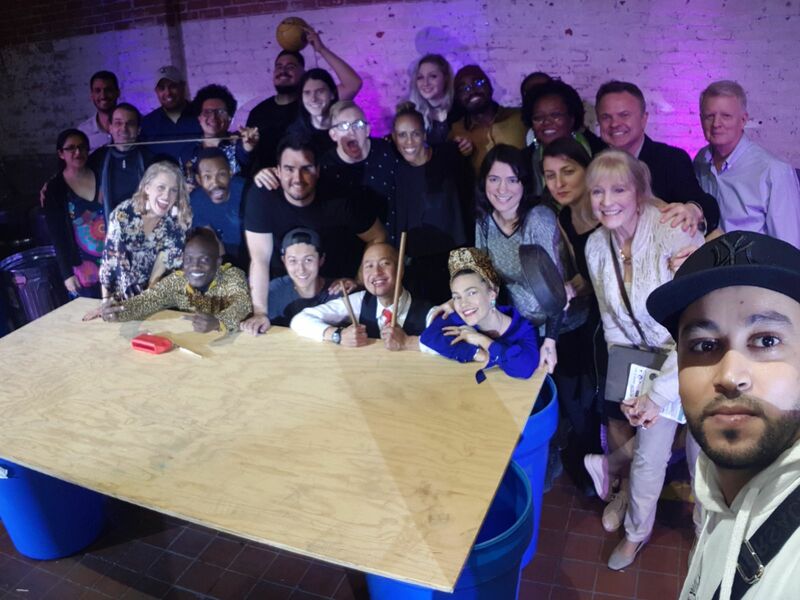 Theater management (all performing arts) – Diverse theater groups can address not only their cultural mission but also their societal role in showcasing perspectives on a community. Urban arts program organizers can often address how arts are being used to revitalize and restore communities. City/neighborhood festival organizers (Including culturally specific festivals) can demonstrate how communities showcase their history, culture, and arts. Film festivals/filmmakers can talk about their craft and about the power of film to document and share stories from diverse viewpoints. Arts and culture are a vital part of society and help us to better understand and appreciate the human experience. It is no wonder, then, that they figure so prominently in international exchange programs on so many topics as they are a key avenue to the goal of building mutual understanding. Please share any thoughts you have with us on this or any other programming topic. The Program Theme Spotlight is intended to promote ideas, brainstorming and best practices on frequent IVLP project topics. POST TAGS: Arts, arts administration, arts and culture, Cultural Diplomacy, Culture, IVLP, Meridian Impact, U.S. Department of State.